On January 21st Gene left his earthly family, who will miss him dearly, to join his loving family in Heaven. Having struggled with pancreatic cancer, he now enjoys complete healing. Born on August 10, 1942 he was raised in the Aquadale community of Stanly County to the late Raymond Jesse and Gracie Kimrey Russell. He graduated from Aquadale School in 1960 and still maintained close relationships with classmates through frequent reunions. Also active in 4H and FFA he received numerous awards and recognition for projects. He continued his education at NC State University with a degree in Food Technology which took him to Ross Labs in Columbus, Ohio where he worked with Similac Infant Formulas. From there to Decatur, Illinois with AE Staley Company and then to Cecil Sikes Farms and Cuddy Farms. Always interested in everything and wanting to be involved he spent his life volunteering in services to better his community. He retired after 30 years as a volunteer firefighter and EMT for Ansonville Fire Dept. 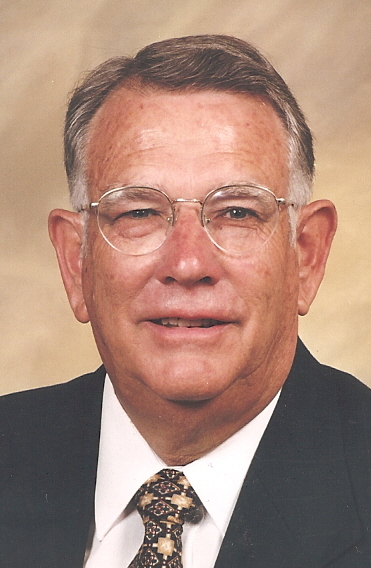 He served 42 ½ years on Board of Directors of Pee Dee Electric, served a term on Anson County Board of Commissioners as well as on the board of Feed My Lambs Ministries. He was also a dedicated member of Red Hill Baptist Church where he served in many areas and especially with Red Hill Brotherhood projects. He also loved to cook and many got to enjoy his BBQ. There to meet him in Heaven in addition to his parents are his infant daughter Tara Leigh, sister Mazelle Speight, brother Carrol Russell, brothers-n-law Steve Sasser and Bill Hatley as well as many aunts and uncles. Left to join him later are his wife Betty Sikes Russell of almost 54 years, son Phillip (Jada) Russell, daughters Leah (Jon) Lynch, and Paige (Micah) Tyson. Beautiful granddaughters Brooke Russell; Makenna, Kaela and Amelia Tyson. His brother Ronald (Debbie) Russell and sisters Patricia Sasser and Kay Hatley, as well as, brother-n-law CJ Speight. He also had a close and loving relationship with his wife’s family Bobby (Lina) Sikes, Joe (Barbara) Sikes, Cecil Sikes, Jr., Mary Alice (Steve) Dixon and many nieces and nephews. Funeral Services will be held at 11:00 AM Monday, January 28, 2019 at Red Hill Baptist Church. Rev. Rodney Clements will officiate and interment will follow in the church cemetery. The family will receive friends Sunday Afternoon from 3:00 until 5:00 at Edwards Funeral Home in Norwood. In lieu of flowers please continue his support of community projects such as Red Hill Baptist Church, Red Hill Baptist Church Brotherhood c/o Tiffany Randall 4747 Red Hill-Mt. Vernon Rd, Polkton, NC, 28135; Feed My Lambs Ministries PO Box 91, Wadesboro, NC 28170; or Ansonville Fire Department PO Box 337, Ansonville, NC 28007.